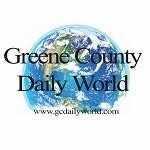 The Eastern Greene School Corporation is experiencing server problems with their computers. This has shut down all computers and telephone access. The server will be down until approximately 12 p.m. on Friday.